The Grammy-award winning Orchestra of St. Luke's performs tonight in the 2010 Bryant Park Fall Festival finale, hosted by WQXR's Elliot Forrest. Stop by to hear the music of Scarlatti, Arensky, and Schumann, and take advantage of two special Fall Festival offers from OSL. During tonight's performance, tickets to any concert in the OSL 2010-2011 Chamber Music Series will be available for just $20 at the Fall Festival Information Booth. Plus, Fall Festival attendees can enter to win a free pair of tickets to an OSL concert by texting in a review of the ensemble's Bryant Park performance. Full contest details will be available in tonight's program. 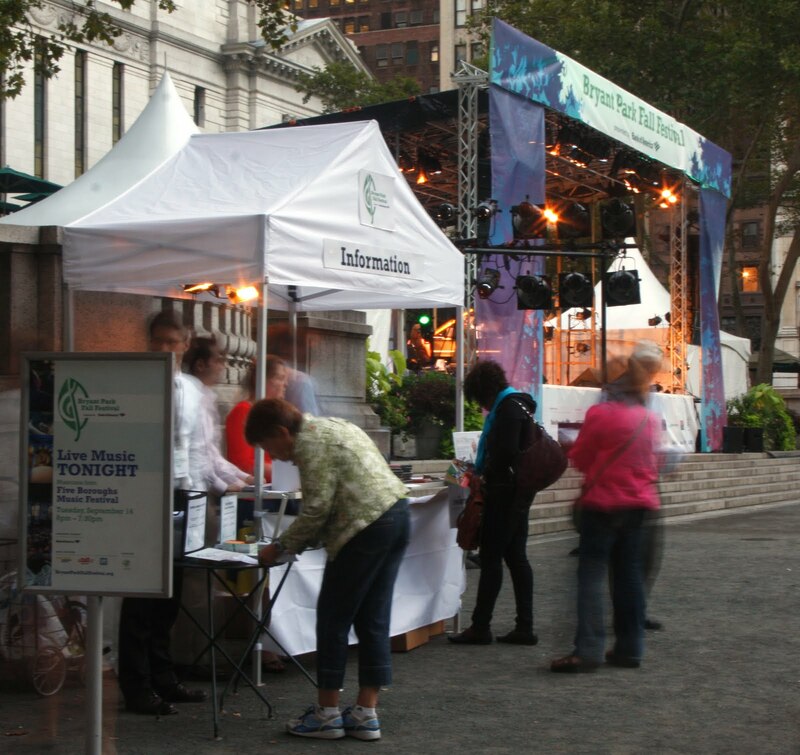 Click here for more information about Bryant Park Fall Festival.